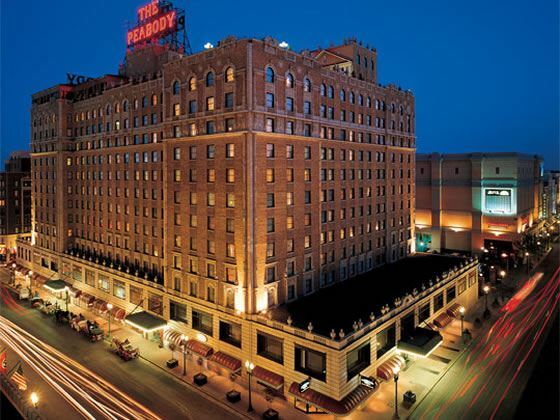 The Peabody Memphis has a convenient downtown location, just blocks from Memphis attractions like Beale Street, the Memphis Rock N Soul Museum, Gibson Guitar Factory, Fed-Ex Forum, National Civil Rights Museum, Sun Studio, and the Memphis Cook Convention Centre. The Peabody itself is also one of Memphis’ most popular attractions. The Peabody Ducks march to and from the Grand Lobby daily at 11 am and 5 pm in a time-honoured tradition dating back to 1933. Experience the historic opulence, gracious Southern hospitality and distinctive accommodations at this luxury hotel with 464 deluxe guest rooms, including 15 suites. When you fancy something to eat, visit one of the hotels fantastic eateries – from steak to brunch to afternoon tea, you’ll always find something tasty to eat. Relax in the indoor Grecian-style swimming pool, sauna and steam room, indulge in a treatment at Feathers Spa or workout in The Peabody Athletic Club. 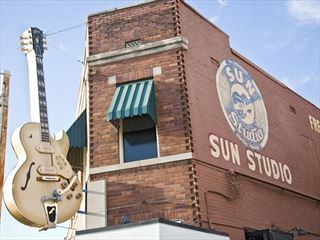 Located in downtown Memphis, a few blocks from popular attractions such as the Memphis Zoo, Peabody Place Museum, Graceland and Sun Studios. Complimentary coffee available in Lobby 5:30 a.m. – 7:30 a.m.
Peabody Deli & Desserts- serves up morning coffee, continental breakfast items, light meals of salads and sandwiches, and speciality desserts. Peabody Memphis Skyway- Sunday Brunch is well worth a visit, Voted the best brunch in Memphis. The Lobby Bar- has been referred to as the "living room of Memphis" and is the heartbeat of the hotel. Corner Bar- a casual and cosy spot to meet friends. Live music Friday and Saturday nights. In-Room Dining, is available 24 hours a day for breakfast, lunch, dinner or a midnight snack. Coffee in the lobby each morning at designated hours.